Home » Swipe. Bet. Done. 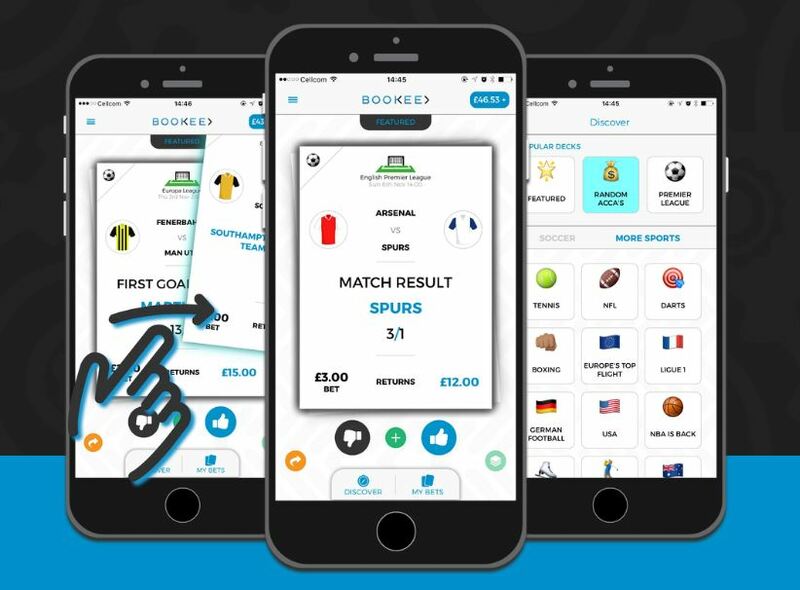 The online betting industry in the UK is about to be altered by the brand-new application for sports gambling: Bookee is an app developed to bring the fresh air into traditional patterns of gambling. The key aspect of Bookee is that its functionality resembles Tinder: a player has to swipe left or right depending on whether he accepts the particular bet or not. The app is simple and intuitive. To make a bet, a player has, first of all, to select the category of sports he is interested in – football, horse racing, tennis, cricket, golf, Formula One, etc. When the category is chosen, a player is offered a deck of bets to choose from: if the bet seems fine a player swipes right, if the bet is not satisfying he swipes left and is offered the next bet. The peculiar feature of the app is that over the time it learns preferences of the player and offers him more appropriate bets. In addition, it is possible to look through the Discovery section of the app and to get acquainted with all the betting options inherent to certain sports category. The developers of Bookee admit that they exploit the style of Tinder. However, such comparison does not seem to be harmful. On a contrary, Bookee is expected to make betting more social experience. For instance, once a player selected the bet, he can split the bet with the friend that also uses the application. Recently, Bookee is available for iOS devices, but the application for Android gadgets is promised to be released soon.